Obverse: PETRUS . ALEXEEWITZ MAG. 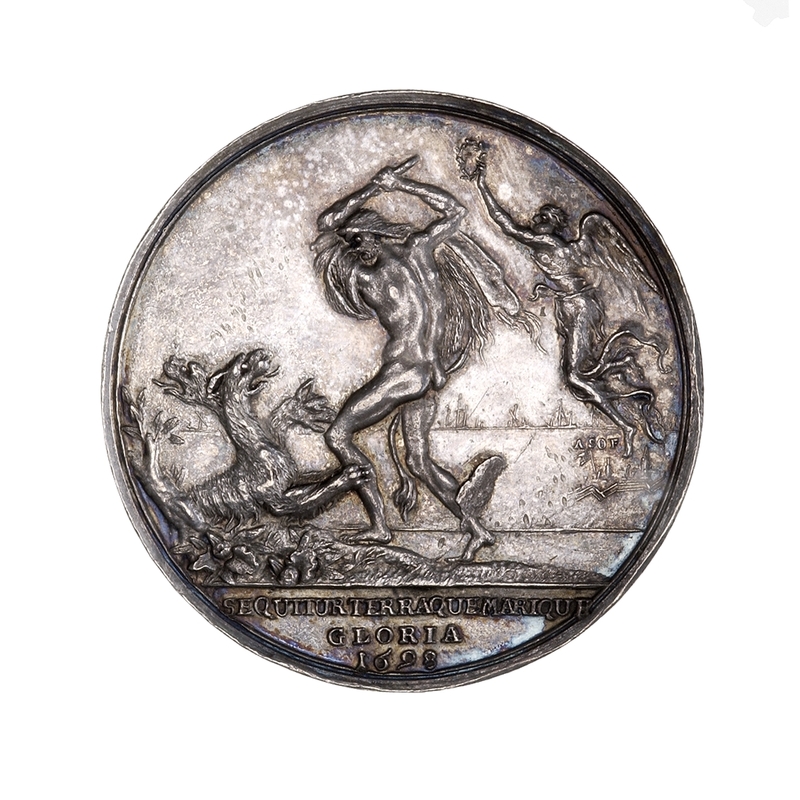 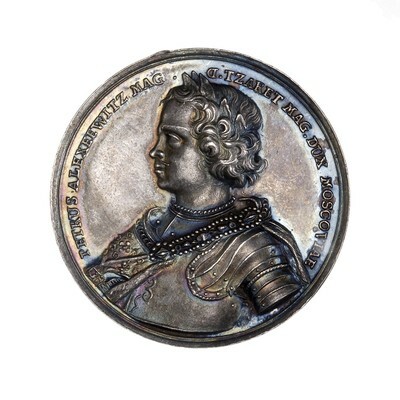 D. TZARET MAG.DUX MOSCOVIAE [PETER ALEXEEVICH GREAT TSAR AND GRAND DUKE OF MOSCOW] - Bust of young Peter I, laureated and cuirassed, l.
Reverse: In ex: SEQUITUR TERRA QUE MARIQUE/GLORIA/1698 [GLORY FOLLOWS HIM ON SHORE AND AT SEA/1698] - Heracles draped in lion's skin holding club, about to strike Lernean hydra at l.; crowned with laurel wreath by winged Fame at r.; in distant background, ship masts and view of fortress labeled "ASOF"
Note: This medal was struck in Northern Europe (most likely, the Netherlands) to commemorate successful disbandment of Streltsy (firearmed units of Russian guardsmen) ordered by Peter I after their uprising in 1698 and the unrest in Asof.